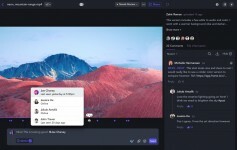 Getting collaborative feedback has never been easier now that Frame.io can send files directly from Apple’s Final Cut Pro X user interface out for comment. Frame.io has added a workflow extension for Final Cut Pro X that can create a handy plug-in communications feature to support a more collaborative workflow. 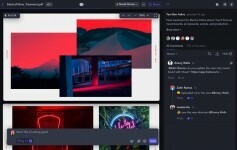 “In the past, most people have used file sharing services like YouTube to exchange projects and then tried to communicate their notes and opinions via E-mail,” said Emery Wells, co-founder and CEO of Frame.io in our interview. “This can be not only cumbersome, but sometimes not all that specific about the exact media being referenced." Through the web-based feature, users can upload video and then send a secure invitation to co-workers or clients to view it and reply with time-stamped comments or annotations. Collaborators' inputs can appear as the edits are made. Click to enlarge. Frame.io integrates directly from within Final Cut Pro X software. That means not having to leave the FCP workspace to receive comments about the project. Reply comments appear much like a Facebook conversation thread. The comments also can be moved and dropped as notes in an FCP compound clip. 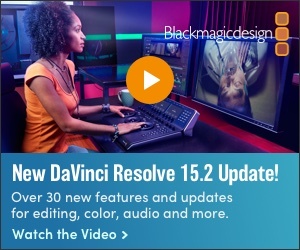 Image Review, Editors can work with a wider range of creative assets to centralize more of their production and postproduction workflows into one place. TPN (Trusted Partner Network). Frame.io has completed TPN assessment. This is an industry-wide film and television content protection initiative between the MPAA (Motion Picture Association of America) and the CDSA (Content Delivery and Security Association), the goal is to create a set of requirements to prevent leaks, breaches, and hacking of pre-released, high-valued media content. Getting feedback while a cut is in progress can prevent a lot of re-working. Click to enlarge. Frame.io offers a a free one-project trial along with 2GB of storage, and 15 total file uploads.